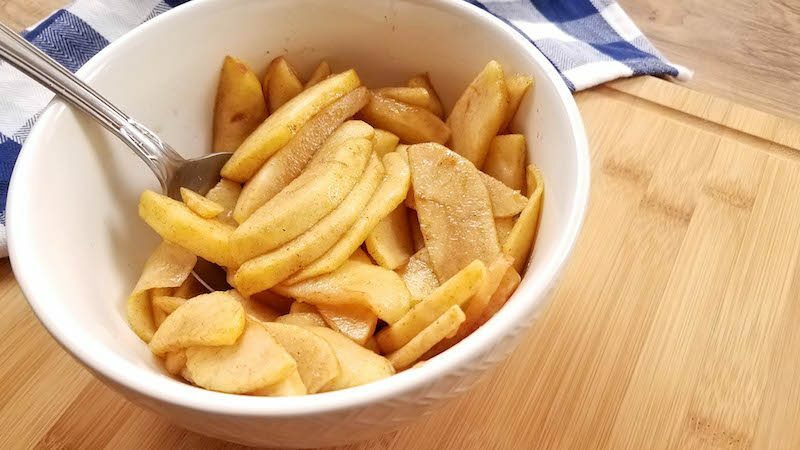 These pumpkin spiced apples are the perfect healthy air fryer dessert! They taste sinful, but they’re a 21 Day Fix approved dessert recipe–if you’re not on the Fix, it just means that it’s a healthier option for you. If you are looking for a great holiday dessert recipe these should definitely be on your menu. They’re perfect for parties and events, no one will be able to tell that they’re 21 Day Fix friendly. 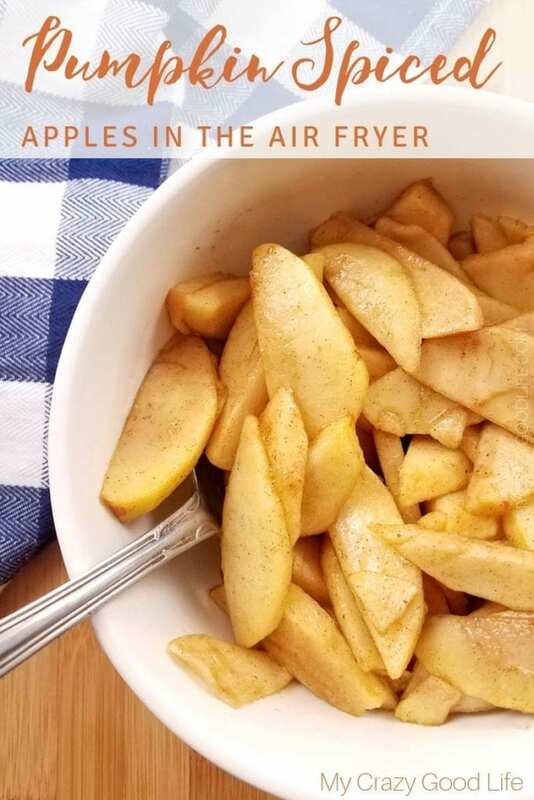 Put that air fryer to good use and whip up a batch of these delicious pumpkin spiced apples! These apple cider margaritas are also perfect for parties…or a ‘just because’ situation! 1) In a large bowl combine apples and pumpkin spice until the pumpkin spice covers all the apples. 2) Next, pour the honey over the apples and mix until the apples are lightly coated. 3) Pour the apples into the basket of your air fryer or multicooker, spread the apples around. Power on and cook for 7 minutes. Turn the air fryer off and serve. Apples should be soft and sweet. 1. In an Instant Pot friendly bowl, follow the instructions above. 2. 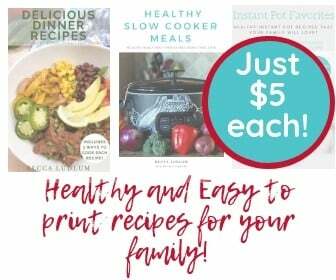 Fill the bottom of your Instant Pot with 1C water and place trivet on the bottom of the pot. Set your bowl on the trivet. 3. Cook apples on high pressure for 0 minutes and quick release. If they’re not soft enough for you, close the lid and let them sit for a few minutes. 1. Place ingredients into an oven safe bowl and cook for 10 minutes on 350 degrees. Depending on the size of the apples, one serving = 1P. For small apples, this recipe makes 3 servings. For large apples, I’d say it makes closer to 6 servings. 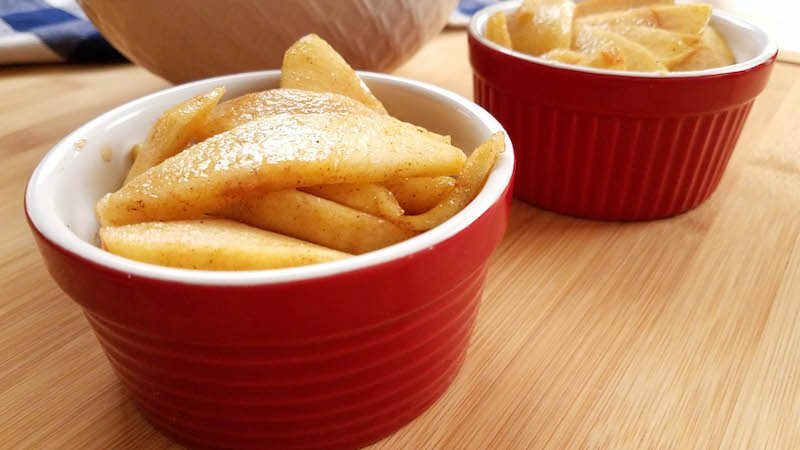 These pumpkin spiced apples are the perfect air fryer dessert! They taste sinful, but they’re a 21 Day Fix approved dessert recipe! In a large bowl combine apples and pumpkin spice until the pumpkin spice covers all the apples. Next, pour the honey over the apples and mix until the apples are lightly coated. 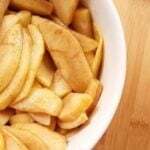 Pour the apples into the basket of your air fryer or multicooker, spread the apples around. Power on and cook for 7 minutes on medium heat. Turn the air fryer off and serve. Apples should be soft and sweet. Depending on the size of the apples, one serving = 1P. For small apples, this recipe makes 3 servings. For large apples, I'd say it makes closer to 6 servings.